Which Kitty are you? 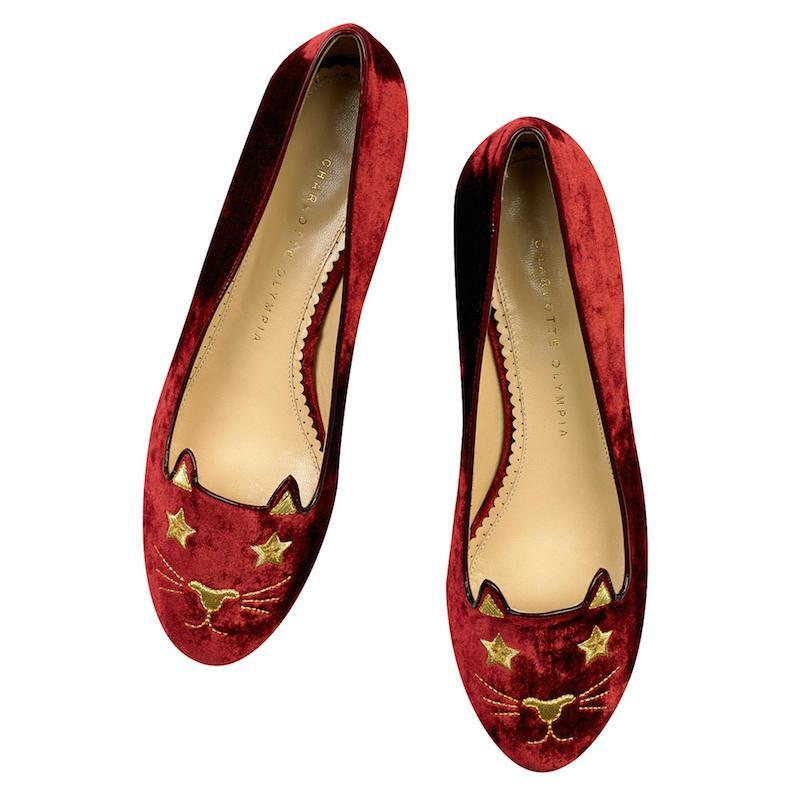 Charlotte Olympia announced its new Kitty & Co. Collection flats include Cheeky Kitty, Clever Kitty, Love Kitty, Pretty Kitty, Pouty Kitty, Superstar Kitty. 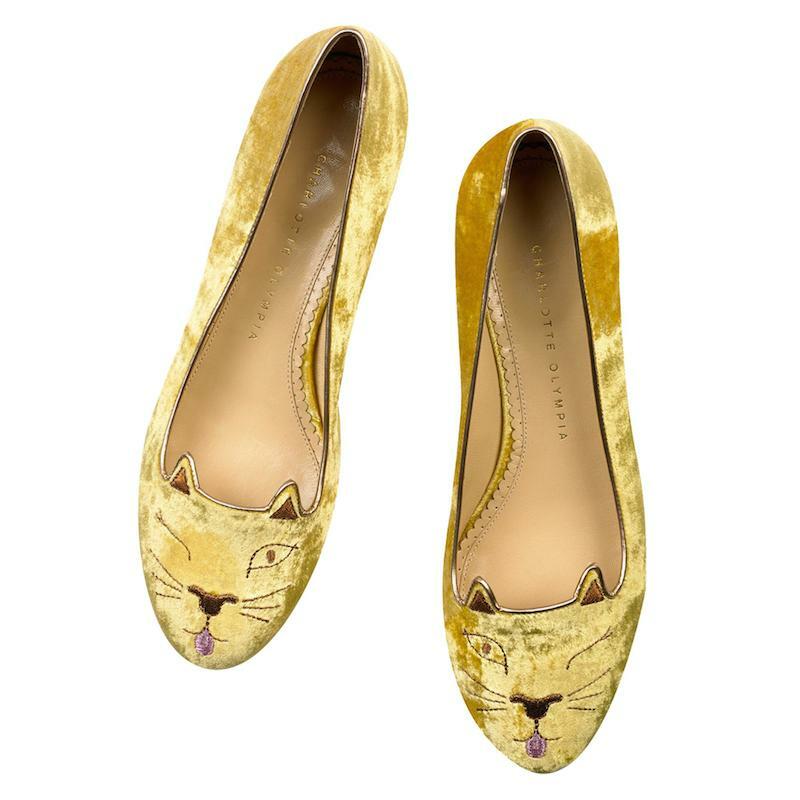 Shop the collection flats from Charlotte Olympia Online Store. 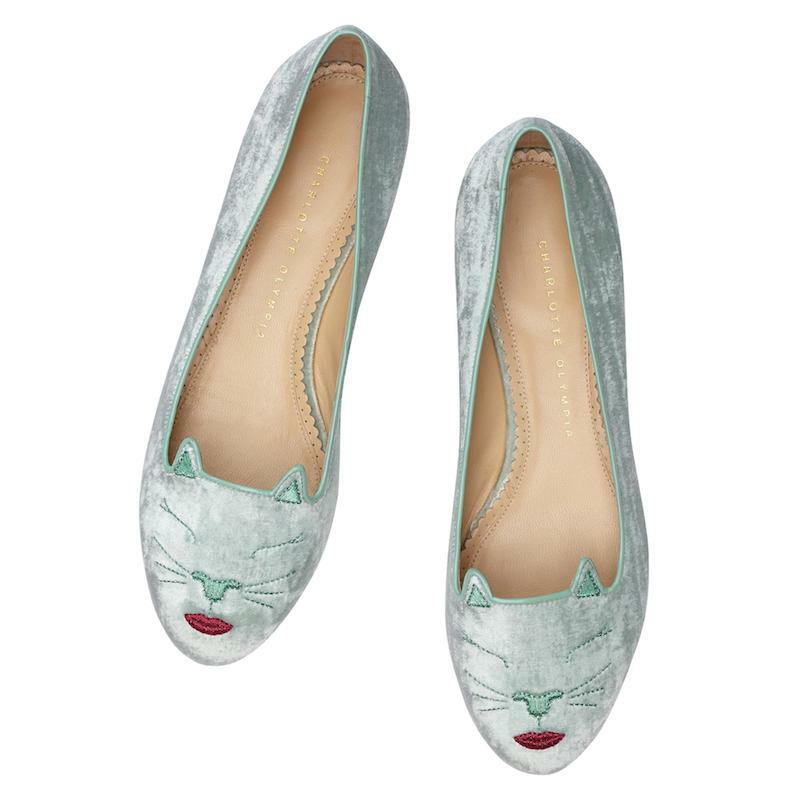 Make the boys wink in these Cheeky Kitty. Sunshine yellow makes a playful addition to your summer wardrobe. It’s all about specs-appeal in these Clever Kitty flats, in soft mink velvet with red leather finishings. It must be Love Kitty. Satisfy your hearts desire in pink velvet with embroidery details. 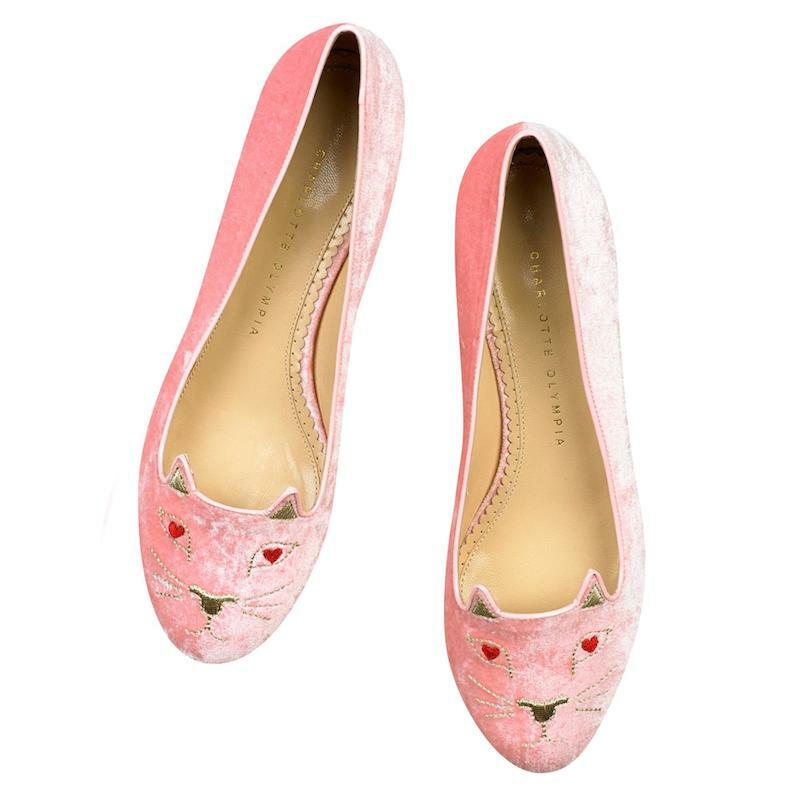 Pucker up in Pouting Kitty flats. Embroidered red lips highlight this limited-edition pair. 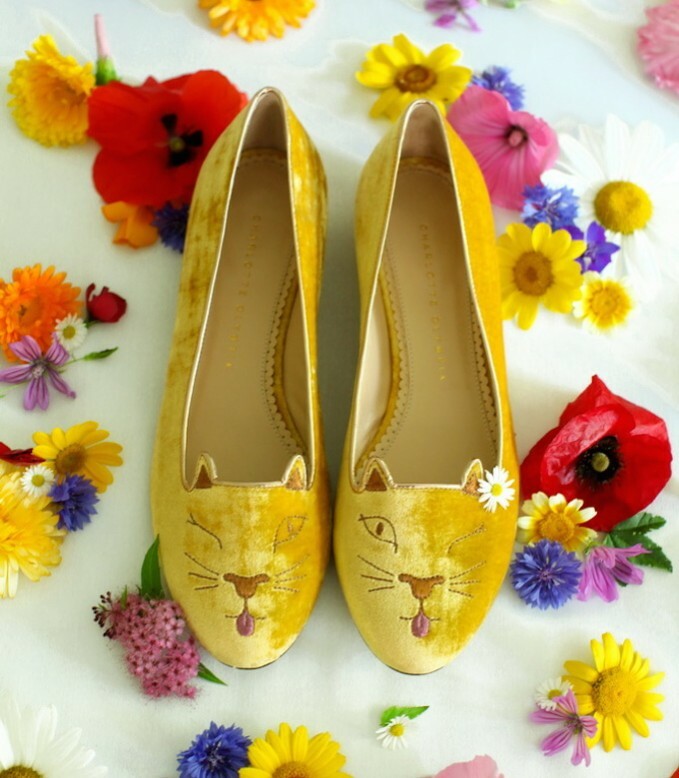 Catch the eyes of passers-by in Pretty Kitty. Soft white velvet is highlighted with pink bows and rosey cheeks. 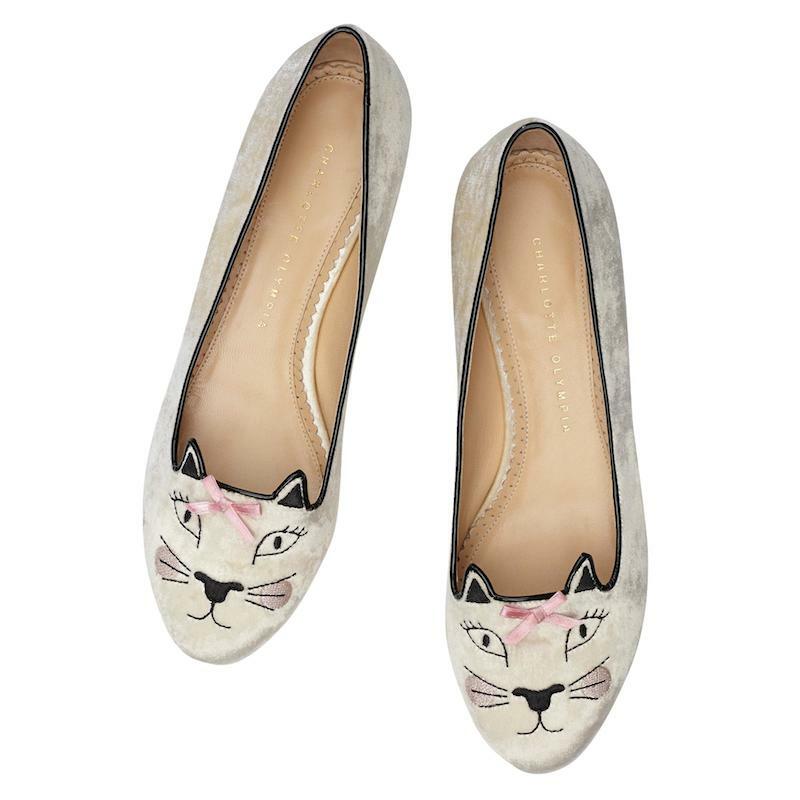 Strike overnight success in Superstar Kitty flats. Rich burgundy velvet is embroidered with gold stars. NAWO—Fashion new arrivals worth owned, daily updated fashion shopping guide, lookbook, makeup tutorials, and special deals. Find your styles from your favorite brands and online shopping stores. Since 2014 © NAWO MEDIA.